2014 is the 100th anniversary of the beginning of World War I in Europe. David Woodward will speak on some important issues from the book he wrote about World War I. Can we learn from the mistakes of the past? Annual Meeting 2014 promises to be a lively event. At the Aull Center on Wednesday, May 14, at 6:30 p.m. the fun begins. Our highly acclaimed speaker will be Sean O’Leary, of Harpers Ferry, a journalist whose columns appear in the Martinsburg Journal and Spirit of Jefferson. The League will also elect officers, discuss and accept the proposed Local Program for 2014-2015, and discuss and accept a budget for the coming year. For the first time, we will be giving awards to certain organizations or people who have done important work that furthers the democratic values of the League of Women Voters. Come and be surprised! The wonderful finger foods and sweets for which the League has long been famous will be provided by you, our faithful League members, with beverages provided by the Hospitality Committee. Sean O’Leary has offered to speak on a topic of current concern to the League: a serious decline of public discourse in West Virginia. “Words Unhinged from Facts,” he calls it, and offers many examples. He uses issues such as the fracking boom, the state budget deficit, the “war on coal,” healthcare policy, and economic policies to show how leaders in West Virginia regularly make patently false assertions without being challenged or questioned by the media. Throughout this past year, the Local Government Committee focused on county government. 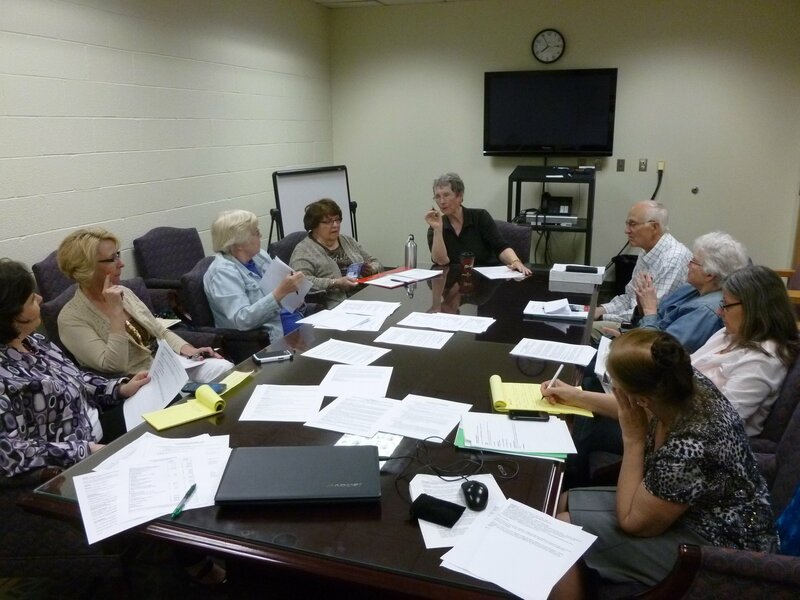 In November it conducted a workshop on county government at the new Sheriff’s Office Building. The workshop featured a guest county commissioner, Lyn Widmyer, from a five commissioner county government system in Jefferson County as well as a speaker, Ora Ash, from the State Auditor’s office. There were also presentations on county government structures and citizen accessibility to county government information. 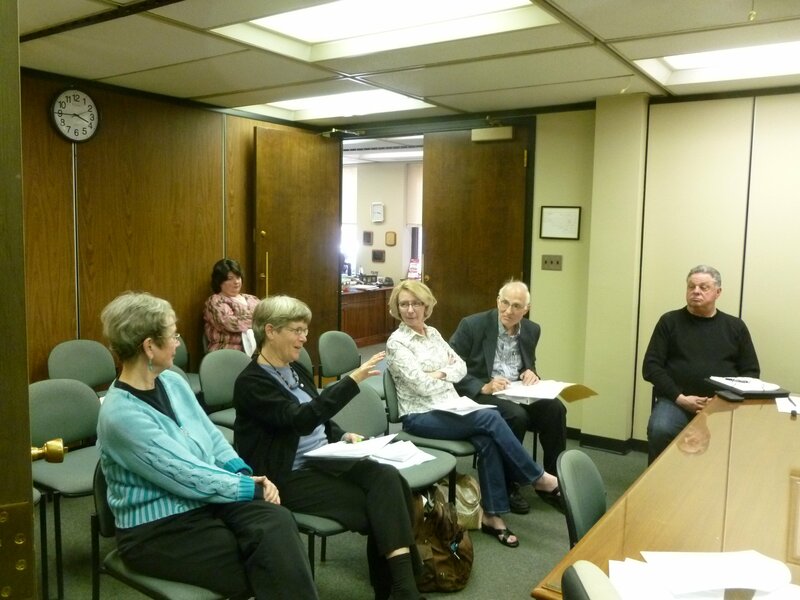 Following the workshop, the Committee, in consultation with the League Board, prepared a list of recommendations for the Monongalia County Commission and met with the County Commission during a special session in April to discuss the recommendations. The Commission requested that an additional public session be conducted in the future. Katheryn Heller and Anna Blankenship are students in the Reed School of Journalism at WVU who have spent hours meeting with the Board, working with the Voter Service Committee, and designing materials and press releases for us. These include a colorful new brochure. This cooperative work came about through the WVU Center for Service and Learning. This joint effort culminated in a Candidate Forum held on campus on Wednesday, April 16. Katie and Anna are capable and generous with their time and ideas. The Board has been very pleased with the results of this collaboration. Note: Anna will be interning with Shelly Moore Capito and Katie will be interning at the White House this summer. The local League had two candidate forums this April, one for the House of Delegates and one for the Board of Education. Both were well attended and both the candidates and the audience were very grateful to the League for holding the forums. This past year the League has been active with the group NoInjectionWell.Org, publicizing the fracking wastewater injection well being considered or Masontown, WV, near the Deckers Creek rail trail. This month the Energy Corporation of America decided they would not pursue the project at this time. The group was pleased that they had continued to get petitions signed and to talk to local government officials. Statewide the State League is part of several environmental coalitions. The League plans to embark on an ambitious season. The plans this year include a special public meeting with the County Commission, a Source Water Protection Plan (SWPP) meeting, and our regularly planned innovative Candidate Forums. We will also host A Study of Library Financing in WV. In order to meet the October deadline for the Library Study, we must start the study preparations this summer. There will be a committee appointed to read the State League’s Library Study material and gather any additional information. This could include interviewing library staffs, and asking how they are funded. We have already taken a step forward because of our Public Library Funding Issues membership meeting in October, 2013. The final product of this effort will be a meeting of our League to come to a consensus in August or September. The League would like to appeal to our membership and interested individuals to step forward to help in whatever capacity you can on the Library Financing Study. Please contact Jonathan Rosenbaum. (1) Laws concerning the number of County Commissioners, their responsibilities and authority. (2) Taxation, revenues and budget disbursements. b. Organize a public meeting with the County Commission on County Government issues. d. Study Source Water Protection Program (SWPP). 6. Social Justice: Explore local collaborations. Land Use (Natural Resources): Support the implementation of planning in Morgantown and Monongalia County. May 14, 6:30pm Annual Meeting at the Aull Center!